If you’re noticing frequent error messages with the software that you use on a regular basis, it can be a major inconvenience and also hamper your productivity. There is the chance that your software files have become corrupted or otherwise compromised, or there may be a hardware problem causing the error messages to occur. 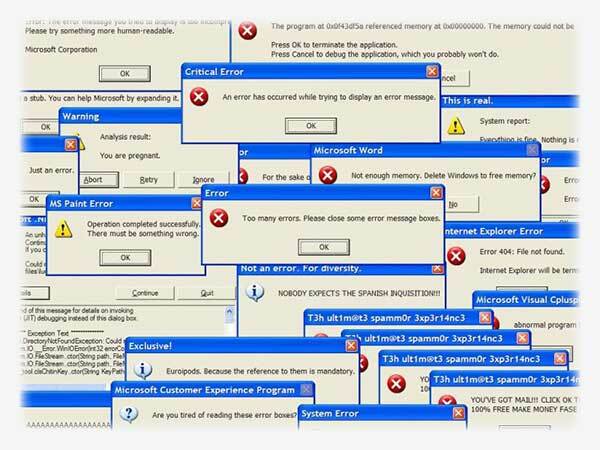 Sometimes spyware or viruses can result in error messages popping up in software programs as well. Your computer may be functional for a time, but it eventually may start to slow down or even refuse to boot up completely. As a leading Maryland computer service, we have seen all types software problems that you can imagine, and we know how to troubleshoot and diagnose them. We can remove any spyware or viruses that may be causing your error messages. We’ll also be able to diagnose and correct any hardware problems or properly reinstall your software programs so that they are fully functional. We will also protect your important data by backing it up prior to any servicing. We can boot your computer into a diagnostic mode if it isn’t booting into its normal mode. If all other options fail, we may need to reinstall your operating system, but we will only do so after exhausting every possible other option. Call our Maryland computer service at 410-336-7313 if you have error messages and to arrange a free consultation.